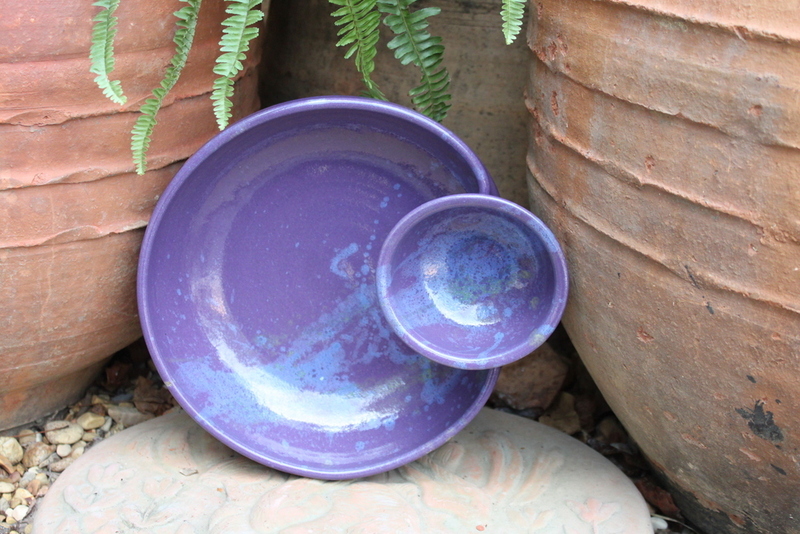 Beautiful Maxie glaze pattern on Miracle Pottery's Chip N Dip server. Looks great on our party table or counter. Guests will be wowed! Made of durable stoneware and high fire food safe glaze it is as useful as it is beautiful to set out. Dishwasher safe. Chip bowl (largest) measures about 11 inches across and is about 4 inches high, top dip bowl measure about 5 inches across and is 3 inches tall.